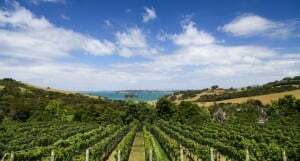 Auckland has a huge selection of event venues that take advantage of the diverse landscape. Event venues overlooking the harbour, vibrant cultural sites, golden beaches, volcanoes, rainforests and vineyards cater for every type of event. In New Zealand's most populated city, there are a huge selection of event venues to suit every occasion. All the major hotels have conference and wedding venue facilities. In downtown Auckland, the major cultural attractions including the War Memorial Museum, provide impressive locations for any large events. Sporting event venues including Eden Park, North Harbour Stadium, Alexander Park and Ellerslie Racecourse Event Centre, all provide excellent options for all event types and sizes. Dedicated wedding event venues range from scenic restaurants to large countryside settings throughout the region. As an established wine growing region, wineries are a popular option for wedding event venues. Use our guide to find the venue that's right for your next event.